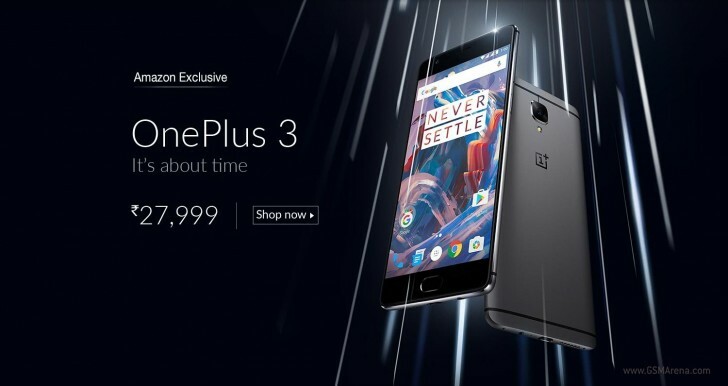 OnePlus is holding a special press event to unveil the OnePlus 3 later today, but Amazon has already jumped the gun and unveiled the flagship in glorious detail. We are pretty sure you are all familiar with the OnePlus 3 thanks to the numerous leaks throughout the past few months, but here comes the confirmation. The OnePlus 3 features a 5.5" Optic AMOLED display of 1080p resolution protected by a Gorilla Glass 4 and runs on the Snapdragon 820 chip with 6GB of RAM. The Kryo processor cores are clocked at maximum - 2x 2.2GHz and 2x 1.6GHz. OnePlus 3 has an internal storage of 64GB, non-expandable as expected. The OnePlus 3 camera setup is rather interesting - there is a 16MP Sony IMX298 rear camera, optically stabilized, with phase-detection AF, a LED flash and 4K video recording. The front camera relies on an 8MP Sony IMX179 sensor with 1080p video capturing. The front snapper supports electronic image stabilization, which should improve the selfie videos. 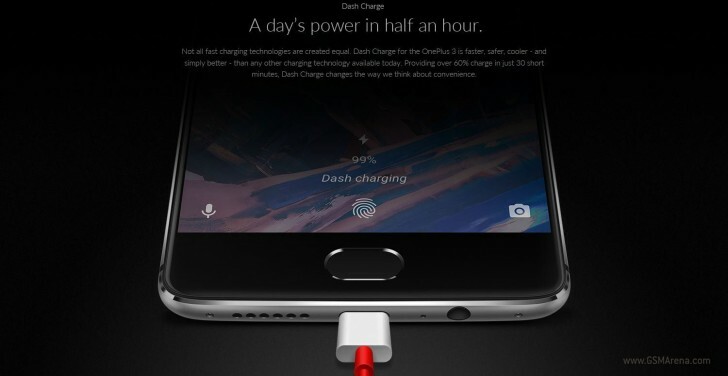 Other interesting specs of the OnePlus 3 include a fingerprint sensor, a notification light, LTE Cat.6 and dual-SIM connectivity, NFC, and a 3,000 mAh battery with Dash Charge support (5V 4A or 20W). 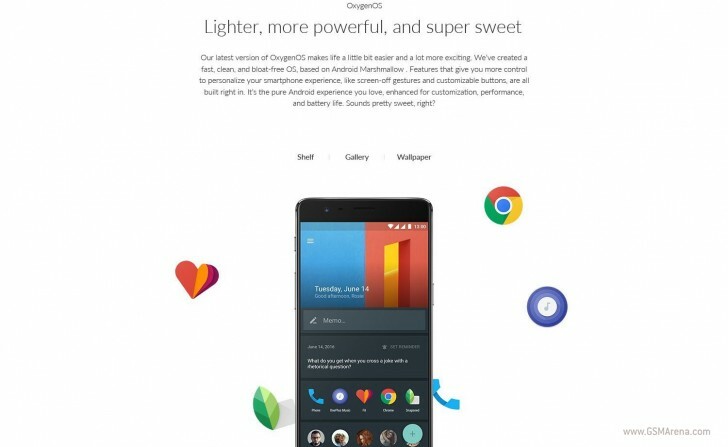 Android 6.0.1 Marshmallow with Oxygen launcher will be in charge of the OnePlus 3. The device itself is made of anodized aluminum and will be available in Graphite and Soft Gold flavors. 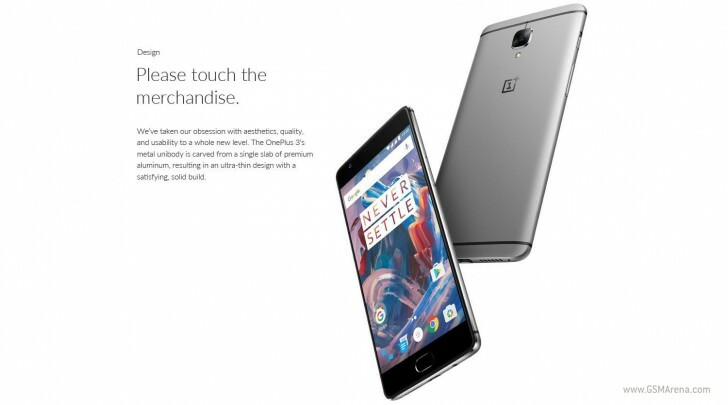 The OnePlus 3 goes on sale in India, invitation-free, and costs INR 27,999 or $416. We'll know more about the international availability and the OnePlus 3 in a few hours when the official announcement event kicks off. Thank you, all, for the tip! what an amazing observation! does the redmi note 3 have the same processor as the oneplus 3? i'm blinded by the luminosity exhibited by your brain! and launched with almost same processor. no real upgrades. man, what a sourpuss!